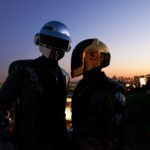 Did VEVO just leak that Daft Punk will be playing at Coachella? More leaks, more rumors, more unsubstantiated claims. According to VEVO’s site, Daft Punk is scheduled for a performance on April 12th in Indio, California. What does this mean? Nothing really – it’s not an official announcement and could be as simple as a mischievous employee playing a cruel joke. As a die hard Daft Punk fan even I’m getting tired of all this intentional pot stirring. But at this point it seems like these rumors are more than just accidental slip ups – it’s beginning to feel like an intentional hype machine for the duo’s inevitable return. The stars are aligned, it’s been over 6 years since they performed at Coachella, their new album will drop on May 21st and their return is certainly imminent. Could Phoenix’s headlining spot be a front for Daft Punk’s return? Definitely, as the last time the two performed they closed out Phoenix’s Madison Square Garden show.